Out Now: New Loop Expansion packs, plus 300 free Royalty-Free loops Twisted Tools – NI Reaktor Player Support Coming Soon! 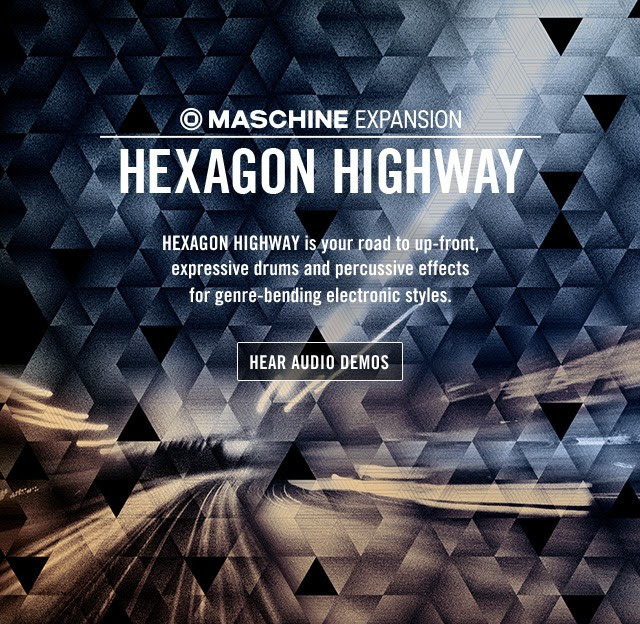 We are proud to announce, that NATIVE INSTRUMENTS has released HEXAGON HIGHWAY, a Maschine Expansion created in collaboration with Twisted Tools. The expansion pack features sound design by Twisted Tools and MIDI programming by Richard Devine. We're very excited about this release and to celebrate, we've decided to extend our sale on TOTALLY TWISTED until October 3rd, 2016. There has never been a better time to get your hands on *every product in the Twisted Tools shop. New MASCHINE Expansion provides the powerful, rhythmically sophisticated sound of experimental electronic music. Native Instruments today introduced HEXAGON HIGHWAY – a new MASCHINE Expansion combining up-front, expressive drums and percussion with advanced multi-effect kits. The expansion is aimed at producers creating music that lives between the lines of established genres, with a strong focus on beat making. The expansion was created in collaboration with Twisted Tools, the team behind NI’s randomizing drum sampler POLYPLEX. HEXAGON HIGHWAY runs in the latest MASCHINE software on MASCHINE STUDIO, MASCHINE, or MASCHINE MIKRO and is available exclusively at the NI Online Shop. A compact version for iMASCHINE is also available via the iMASCHINE in-app store. HEXAGON HIGHWAY was designed for producers who have a passion for musical experimentation. A collection of expertly designed drum and percussion sounds provide a foundation necessary for adventurous, contemporary electronic music. The expansion also features custom Multi-Effect kits that make advanced sound manipulation intuitive and easy. Once a Multi-Effect kit is loaded, producers can cycle through a host of detailed parameter automations in real time, providing instant rhythmic and sonic variation during live performances and fresh inspiration in the studio. A new set of presets for NI’s acclaimed MASSIVE and MONARK synths deliver a dose of heavy bass accompaniment that perfectly complements the high-impact drums included in the expansion. 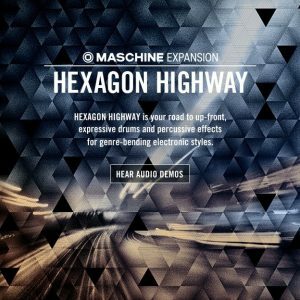 HEXAGON HIGHWAY is available now at the NI Online Shop for $49 / 49 € / £44 / ¥ 6,280 / AU$ 79 and runs in the MASCHINE 2 software.